A new Decree on Associations (Decree 238), which was drafted without any genuine input from civil society and came into effect on 15 November 2017, has imposed further restrictions and controls on the activities of all domestic associations, known as Non-Profit Associations (NPAs). Under Decree 238, only NPAs whose registration has been approved by the Ministry of Home Affairs are legally allowed to exist. Decree 238 gives the government the power to approve the formation of associations; criminalizes unregistered associations; imposes strict operational requirements on associations, including a review of their assets; and bars associations from carrying out any human rights-related activities. In addition, NPAs who want to receive “funds and assets from foreign individuals, legal entities, or organizations” have to seek approval from the Ministry of Foreign Affairs. Reports have already emerged of concerns expressed by civil society representatives that Decree 238 would force many associations to shut down. At least four government critics remain incarcerated. 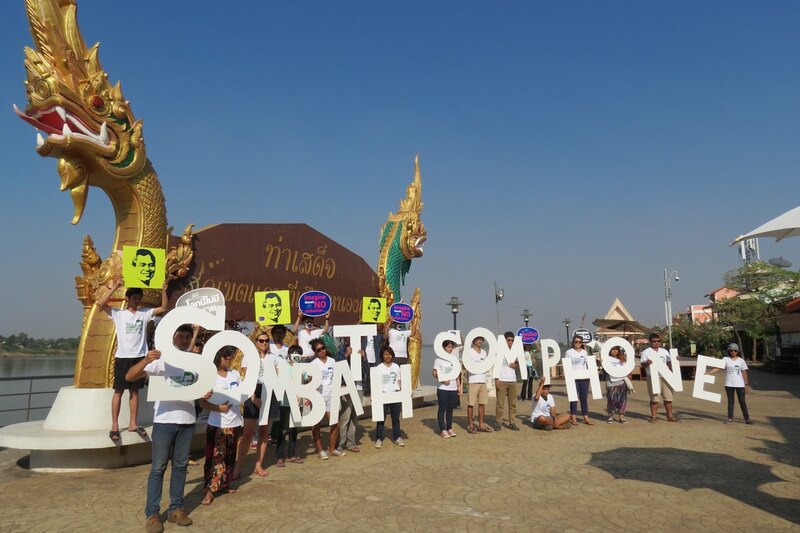 Somphone Phimmasone, Soukan Chaithad, and Lodkham Thammavong are serving prison sentences of 20, 16, and 12 years respectively for their peaceful criticism of the Lao government in relation to alleged corruption, deforestation, and human rights violations. They have been detained since their arrest in early 2016. In a decision adopted on 25 August 2017, the United Nations Working Group on Arbitrary Detention (UNWGAD) declared their detention arbitrary. Pro-democracy activist Bounthanh Thammavong, a Laos-born Polish citizen, is serving a four-year-and-nine-month prison sentence for a Facebook post in which he criticized the government’s policies and actions. He has been incarcerated since his arrest in June 2015. With regard to enforced disappearances, the fate and whereabouts of at least 11 individuals, including civil society leader Sombath Somphone, remain unknown. The authorities are unwilling to conduct effective and impartial investigations into these cases and the government is yet to ratify the International Convention for the Protection of All Persons from Enforced Disappearance (ICPPED), despite having signed it almost 10 years ago. Land confiscation remains a key issue of concern. While the government has repeatedly stated its commitment to addressing land disputes, in many cases authorities have continued to harass and detain people who have protested against land confiscation. At least 12 residents of Ban Yeup Village, Thateng District, Sekong Province, remain detained since their arrest on 25 July 2017 for cutting down rubber trees on land that had been confiscated by the government and leased to a Vietnamese-owned company in 2006. Among the detained villagers are a boy and a girl, both aged 15. One of the detained villagers died in jail on 29 January 2018. Concern has also grown over the lack of compensation in cases of land confiscation and forced relocation that have occurred to make way for the construction of the 417-km high-speed railway connecting the Laos-China border town of Boten to Vientiane. Villagers who have already been forced to leave their homes reported that they still had not received any compensation. In their joint briefing paper, FIDH and LMHR make specific recommendations to the EU to demand Laos show tangible progress with regard to: the rights to freedom of opinion and expression, freedom of association, and freedom of religion; land rights; enforced disappearances; arbitrary detentions; prison conditions; and the death penalty. Next PostNext Is hermetic Laos poised for more openness?